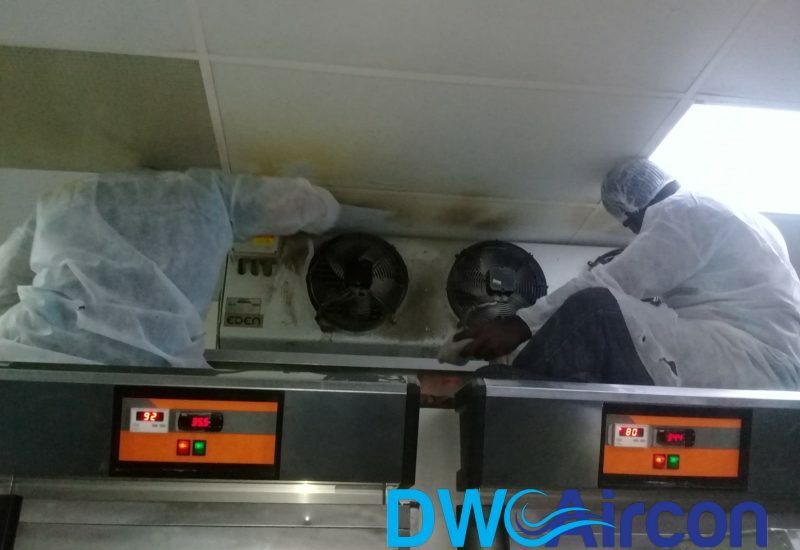 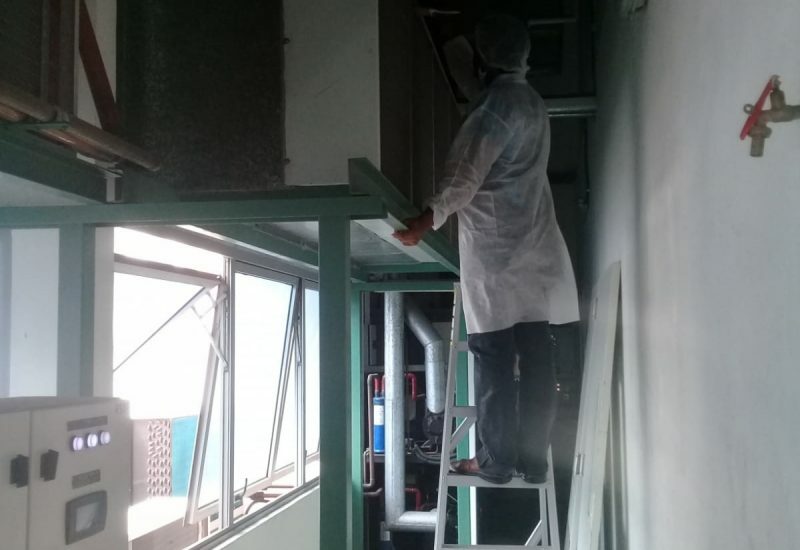 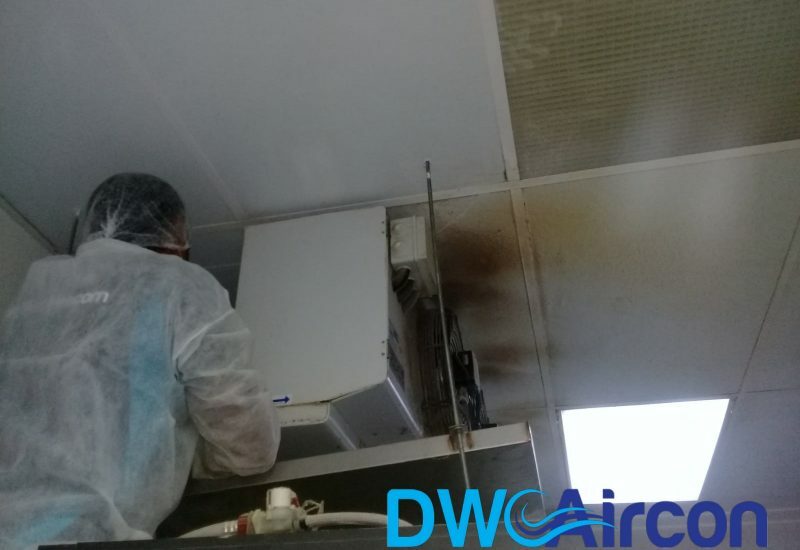 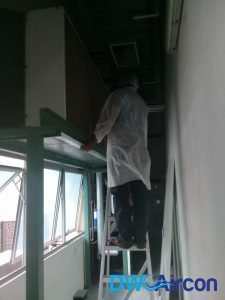 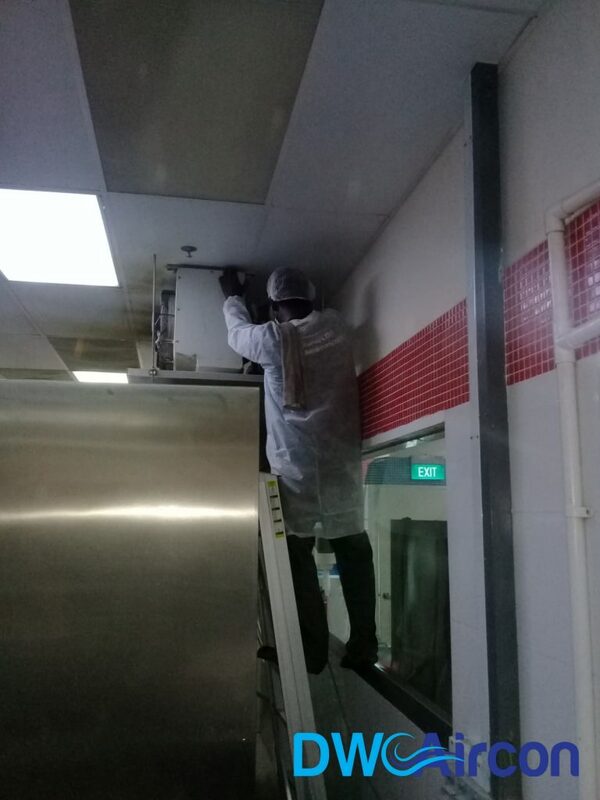 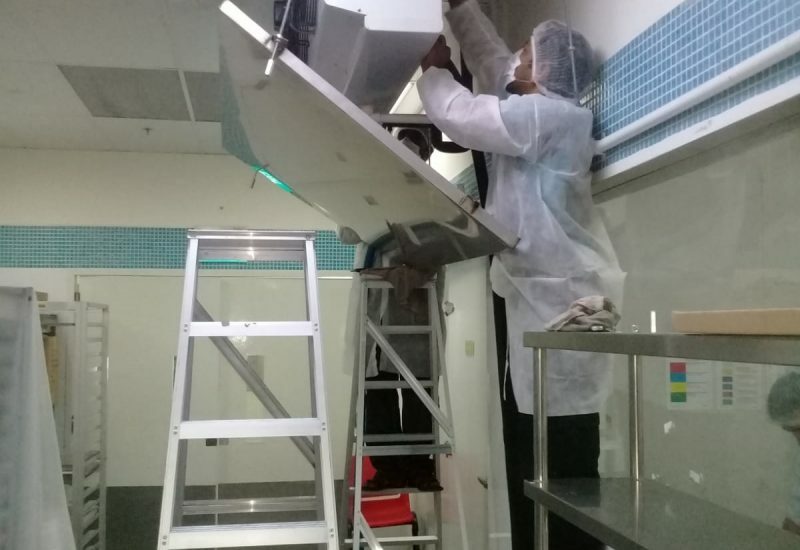 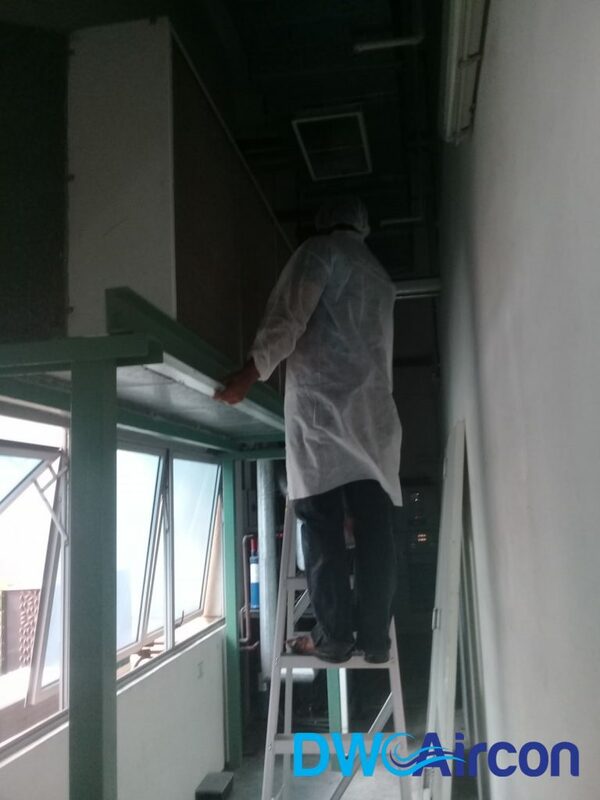 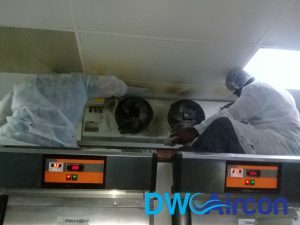 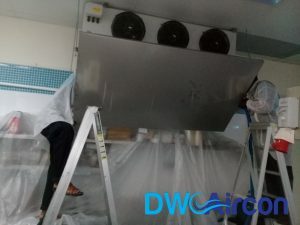 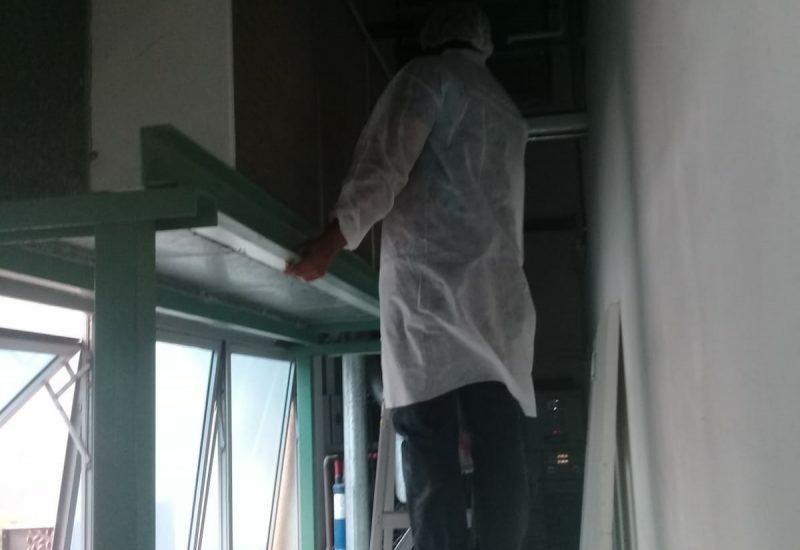 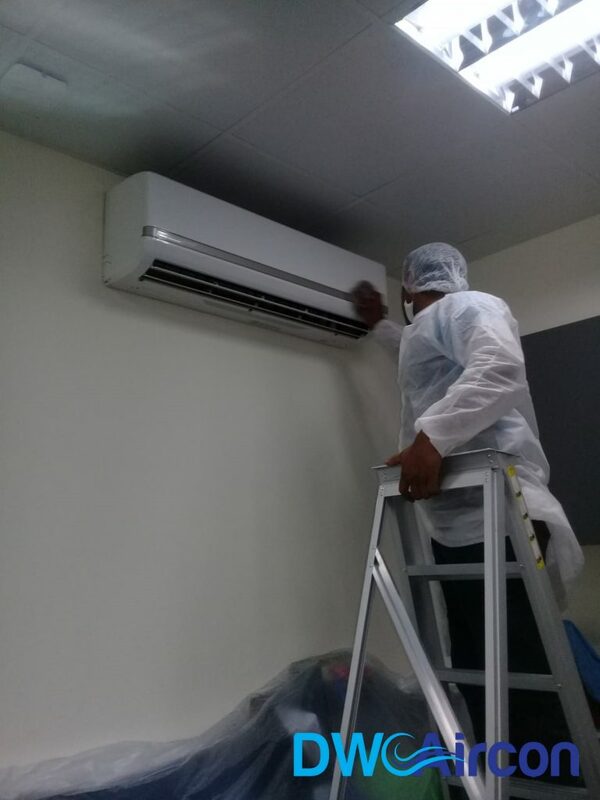 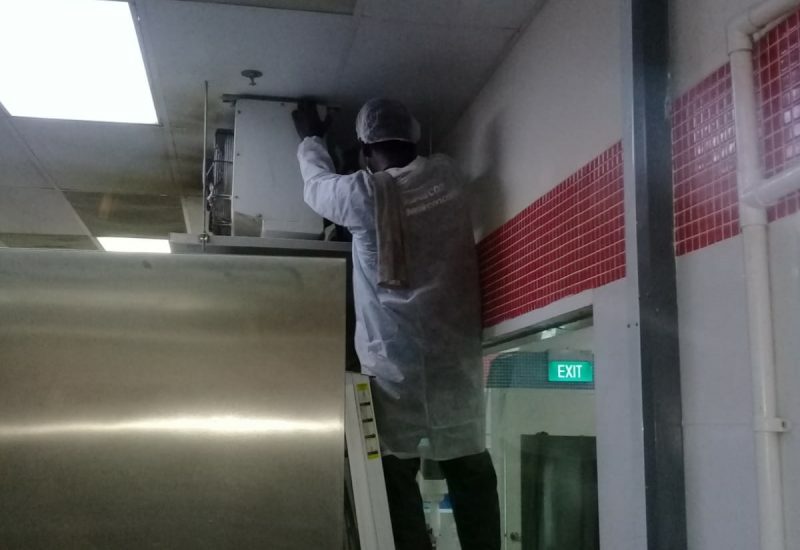 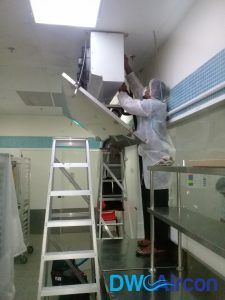 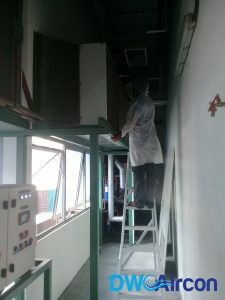 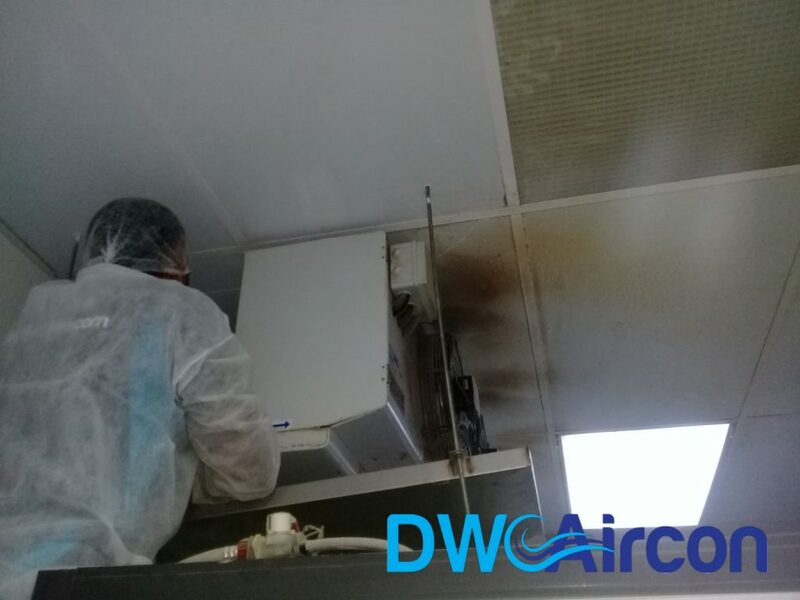 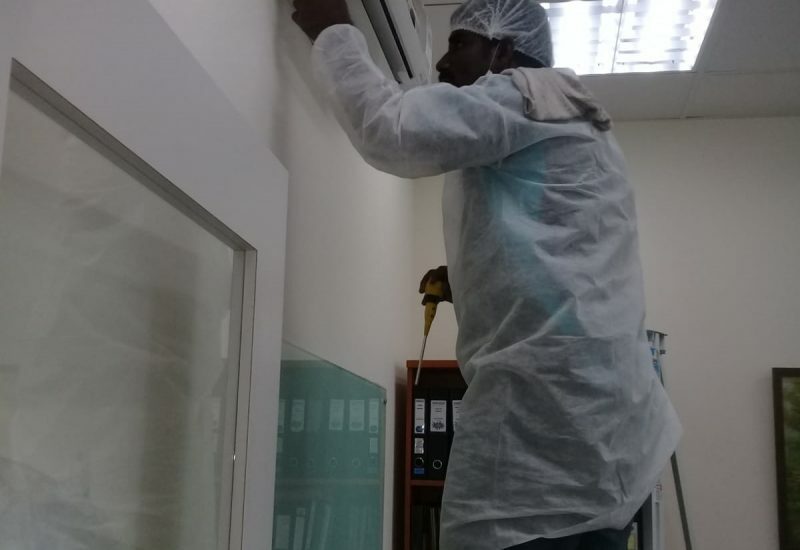 DW Aircon Singapore provided an Evaporated Fan Coil and Cassette Aircon Servicing in a Commercial Kitchen and Office, in Tai Seng Singapore. 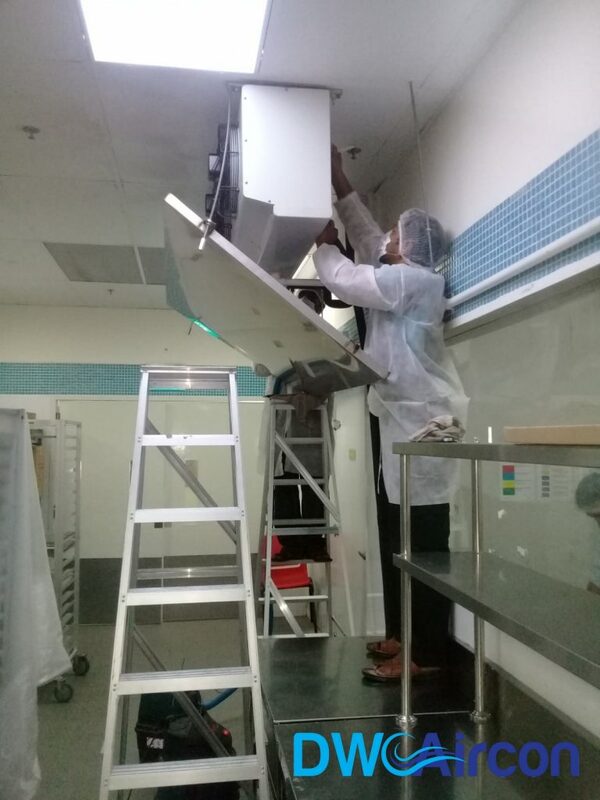 The whole project took two days to finish. On the first day, our professional aircon technicians did a normal aircon servicing on 21 sets of evaporated fan coil for the kitchen area. 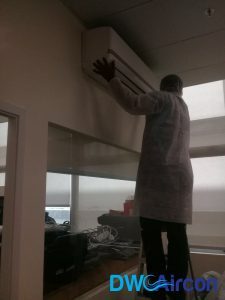 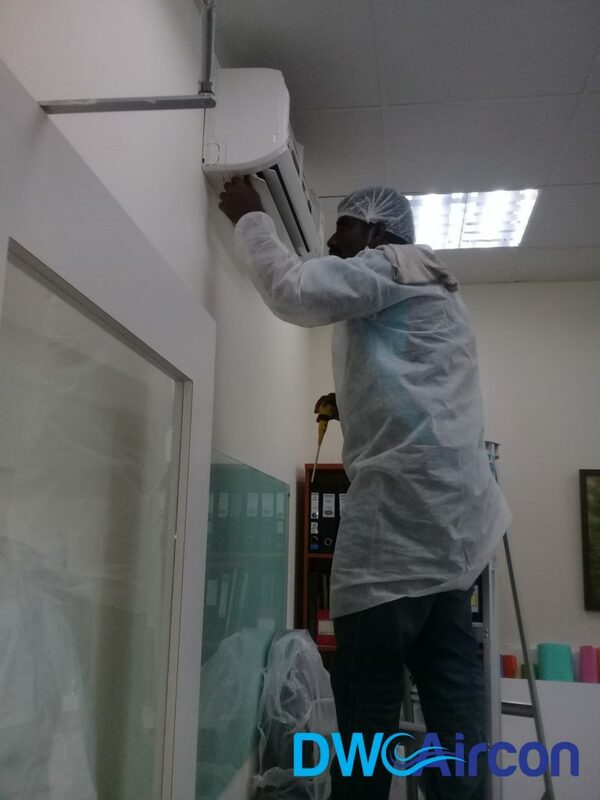 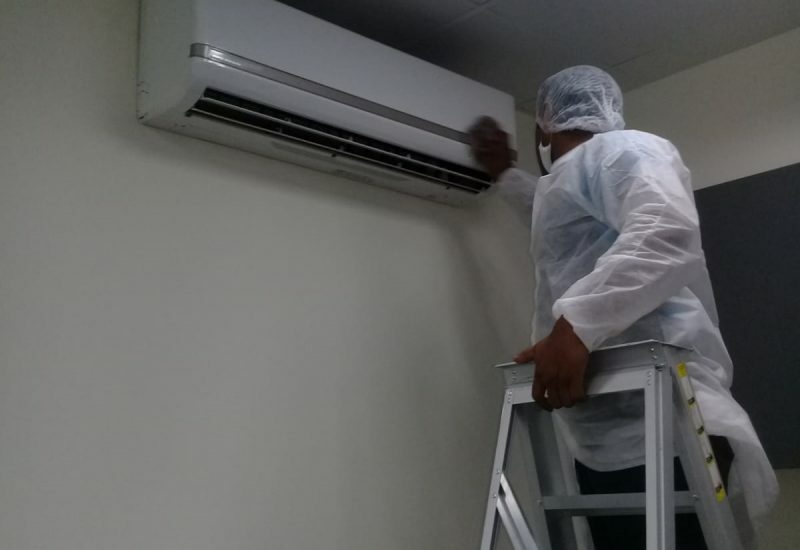 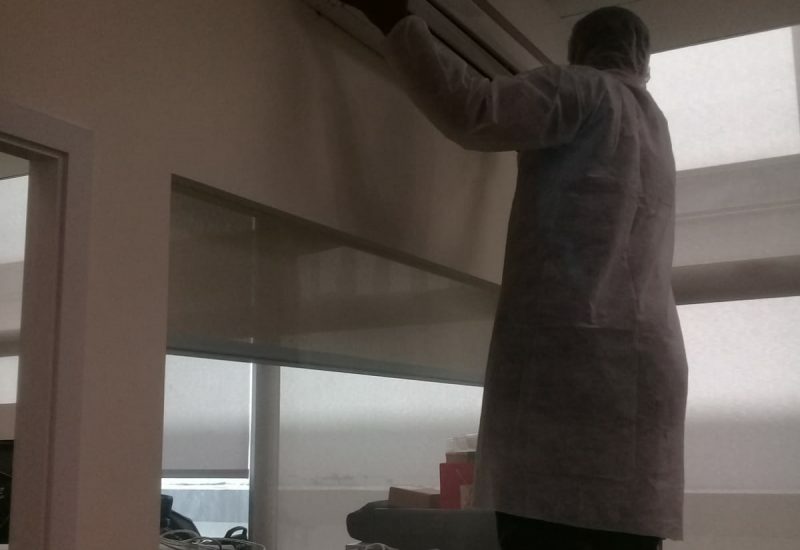 While on the second day, our trusted aircon technician team carried a normal aircon servicing on 15 fan coils and 33 cassette air conditioners in the office area. Our dedicated team also covered the area with plastic in order to keep the machinery and furniture clean during the aircon servicing.